In 2004 we celebrated 100 years since what is known as the Welsh revival. During the spring of 1904 a young Welshman named Evan Roberts, a 26 year old student had a spiritual experience which led him back to the young people of his own church where he shared this experience and encouraged them to be open to God’s Holy Spirit. God poured out His Spirit and within two weeks the Welsh Revival was national news. Before long Evan Roberts and others were traveling the country conducting Revival Meetings. Meetings which broke the conventional and bypassed the traditional – often the ministers just sat down unable to preach or even to understand what storm had arrived in their usually sedate churches. People were changed in so many ways. The crime rate plummeted, drunkards were reformed, pubs reported losses in trade. Bad language disappeared and never returned to the lips of many. The Times observed that the whole population had been suddenly stirred by a common impulse. Religion had become the absorbing interest of their lives. They gathered at crowded services for six and eight hours at a time. A powerful spiritual awakening that brought 100,000 people to Christ was under way. The revival storm that hit the hills and valleys of Wales in the dying months of 1904 soon became a hurricane that affected the World. Visitors caught the flame then passed it on to new countries. Our Elim churches, along with many other 'pentecostal' churches were birthed out of the Welsh Revival and the Azusa Street Revival in Los Angeles, California. The Elim Pentecostal Church was founded in 1915 by a Welshman named George Jeffrey's who was an outstanding evangelist and church planter. He was strongly influenced by the Welsh Revival of 1904. The Elim Pentecostal Church in the United Kingdom has over 600 churches and Globally Elim has over 4000 churches in many nations around the world. The Elim Church of New Zealand has over 40 churches throughout Aotearoa New Zealand with significant churches in the main centres. Every year in NZ as an Elim Church whanau we hold our Annual Conference - ONE Conference in Botany, Auckland where over 1000 people gather from around New Zealand for 3 days of amazing time together, of family, fun, celebration, inspiration, praise, worship and teaching. God's call on Elim, in breakthrough continues to be significant in the world today and we continue focused on God, reliant on the Holy Spirit, forever expectant for God to do more in us and through us. 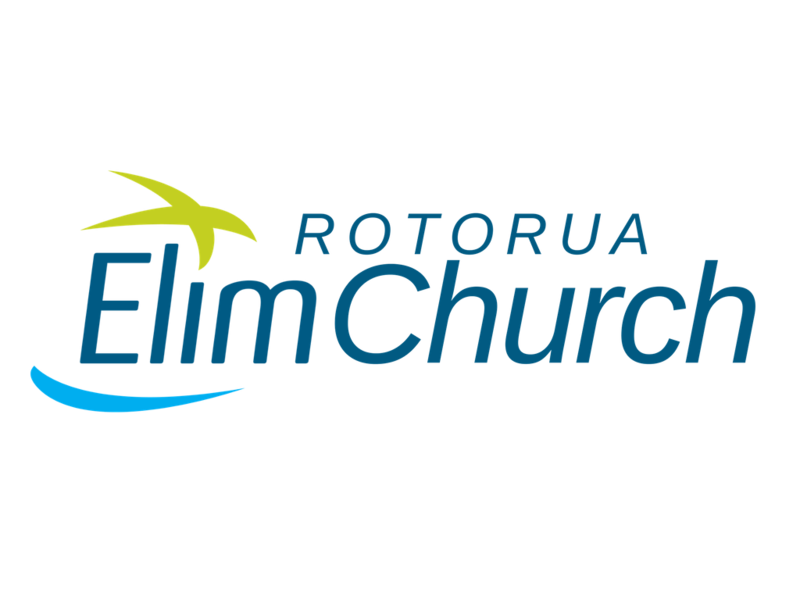 Rotorua Elim Church began in 1998 lead by Maurizio and Sharon Cianci for the first 10 years. In early 2009, Josh and Jaz Robbins moved from Christchurch to Rotorua to lead the Church. During their time the Church was able to lease a permanent facility in its current location in the centre of Rotorua. In January 2017 Eruera and Marama Maxted answered the call of God to leave Whangārei, return to Rotorua and take up the leadership of Rotorua Elim Church. Our Rotorua Elim Church family is set on living lives of breakthrough, thriving and achieving all that God has for us. We love to celebrate people and see them come to know Jesus Christ as their Saviour, healed, set free and to love God and love people!